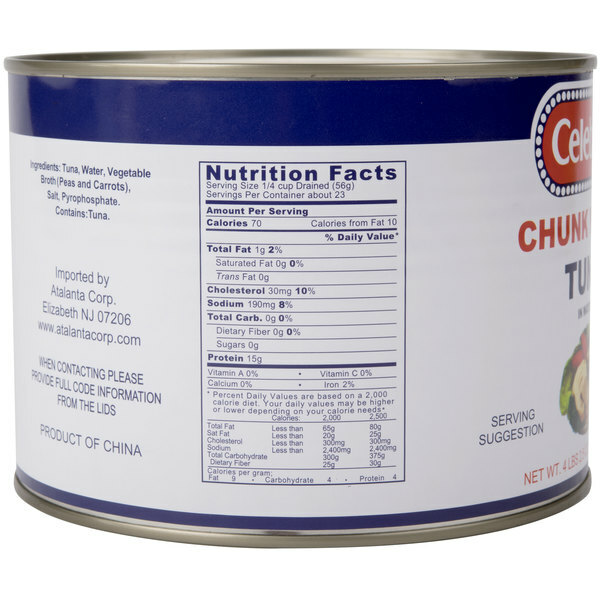 Use this premium chunk white albacore tuna 66.5 oz. can to easily prepare hors d'oeuvres and entrees! 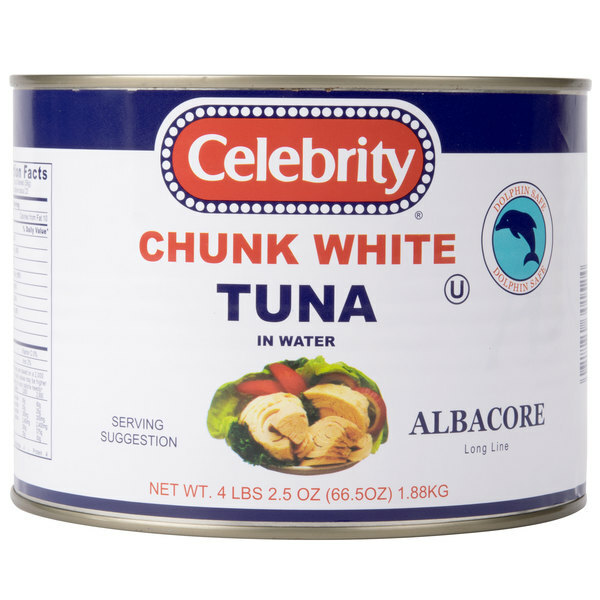 Compared to chunk light tuna, albacore contains more heart-healthy omega-3 fatty acids. This tuna is also packed with protein and low in fat and cholesterol, making it ideal for the health-conscious consumer. Thanks to its mild taste, the white meat is great for a variety of dishes. Simply open a can, mix it with mayonnaise, chopped celery, and spices to create a signature dish for your restaurant, bistro, or catered event. Coming in a large 66.5 oz. can, you can easily whip together an entire batch of this premium chunk tuna and make it a weekly special for your customers to enjoy. You can even use it to top salads or prepare classic recipes like tuna melts, tuna salad sandwiches, and tuna casseroles. For special events, serve this light and flaky fish as a tasty topping for buttery crackers or as a dip for pita bread. No dolphins were killed or seriously injured in the process of harvesting this item. A purse seine net was not intentionally deployed on or to encircle dolphins. 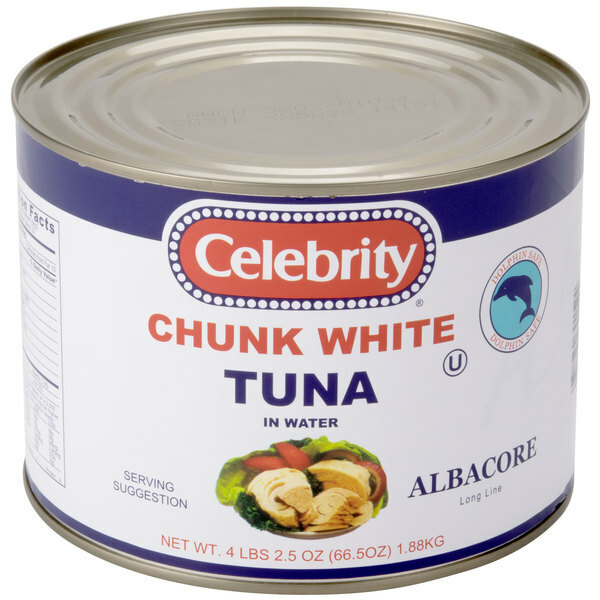 This very large can of premium chunk white albacore tuna is exactly that, premium. It has a great flavor- I can hardly believe that tuna this delicious is available at such a good price. A wonderful brand of white albacore tuna that is packaged well. The tuna is flavorful and wonderful for making tuna fish salad or tuna melts. I wish this albacore tuna did not contain vegetable broth, and was only in water. Otherwise it's a great price for this large can of albacore tuna.